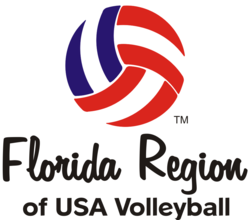 Thank you for your interest in starting or renewing an existing volleyball club with the Florida Region of USA Volleyball. If you are starting a new club, please make sure that you have reviewed the requirements for registering a new club. If you are renewing an existing club, please make sure that you have completed the club renewal process by October 1st of each year. It's also very important to renew your personal USAV membership on or shortly after September 1st . If Club Director & Club Admins memberships have not been renewed, background screen cleared and SafeSport Certification retaken by September 30th the club will become inactive in Webpoint. A USAV Background Screen must be completed every membership season. All adults that have contact with juniors in your club must be SafeSport Certified. This includes coaches, chaperones, team reps, volunteers, etc. It is the responsibility of the Club Director to verify that all adults have met the SafeSport requirement. Note: If you have a website you must post your club contact phone number on the home page. All clubs must upload the following documents: Please upload all documents as a PDF. If all documents are in your club handbook, please upload handbook for each request.